This heartfelt wedding gift becomes a permanent record of the events and people who witnessed this magical day. Some of the optional details incorporated in this story include: the wedding couple, bridesmaids, groomsmen, flower girl(s), ring bearer, pastor, church, and locations of the reception, honeymoon, first address and more. 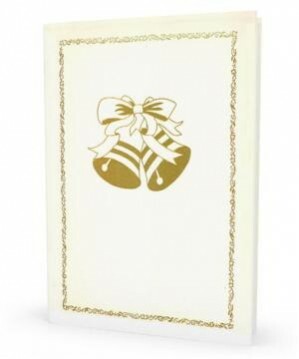 This personalized memory book also allows you to add photographs, making this a superb reminder of that special day! A cherished keepsake appreciated by all newlyweds.